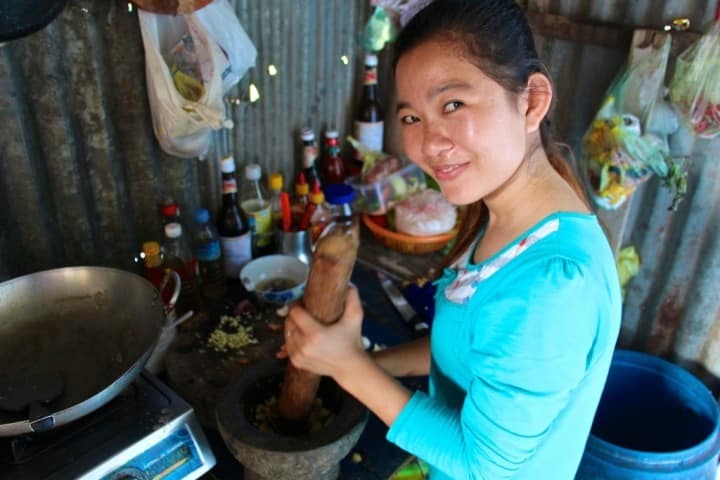 Cambodian Killing Fields Curry | Is Life a Recipe? Once again great fortune came my way and I departed a few years back on that experience of a lifetime – Tabitha House Building in the most beautiful country of Cambodia. This year with my great mate from Melbourne, and a virgin to this experience, Mario. Whilst on a trip to The Killing Fields just outside of the city, we decided to eat at a local hawker style joint and consumed an amazing curry. Like an oh my God moment curry. I have called that Cambodian Killing Fields Curry, but believe me this is like no KFC you’ll ever have again. You have to get in to this one. I decided to have some 121 time with Mario, renting a tuk tuk for the day and to go exploring. What a great day we had. 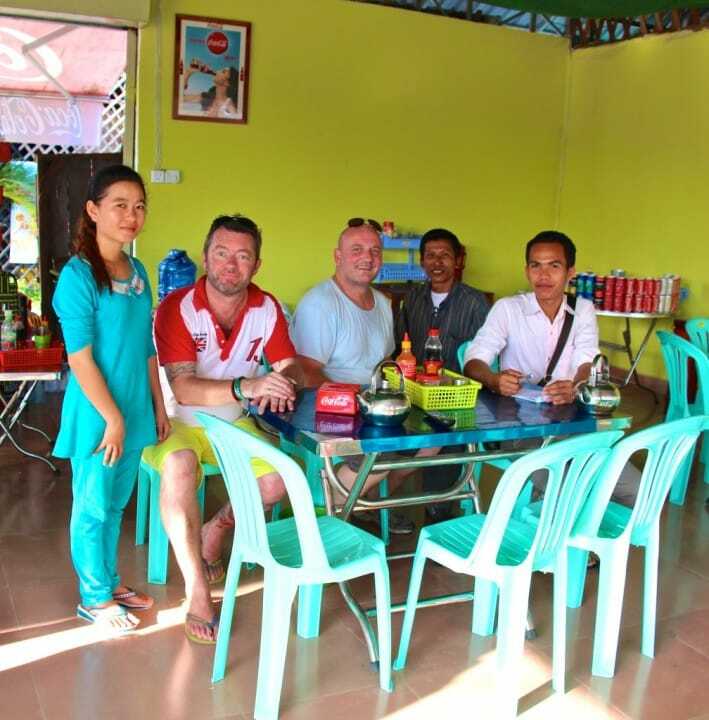 Here we are with our tuk tuk driver, and the husband and wife team and owners of the restaurant. Pretty damn wonderful people. And damn good food that she was churning out, absolutely fresh and made to order there and then. 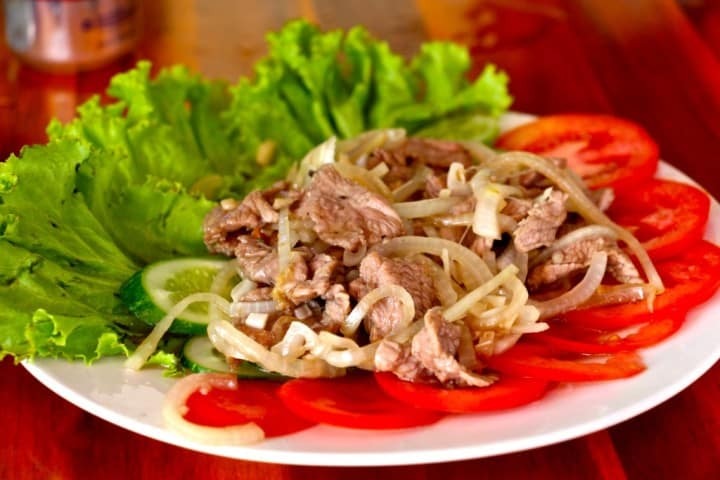 Her beef Lok Lak – a favourite it seems of most of her punters (including me). 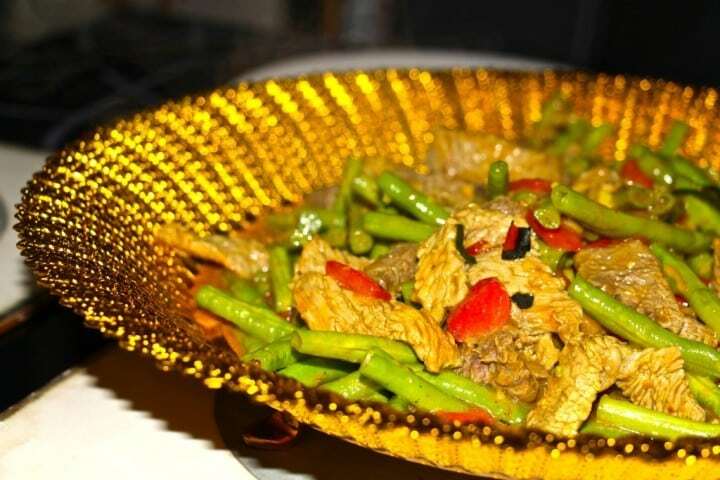 Her husband then said; “Let me get her to cook you my favourite dish…” So she did – and BOOM!!! Ladies and Gentlemen I now give you my version of that dish Cambodian Killing Fields Curry, in honour of that lovely lady. The picture below is her version, which I have tried to recreate after watching her cook this from start to finish in her shed. It’s a cracker!!! 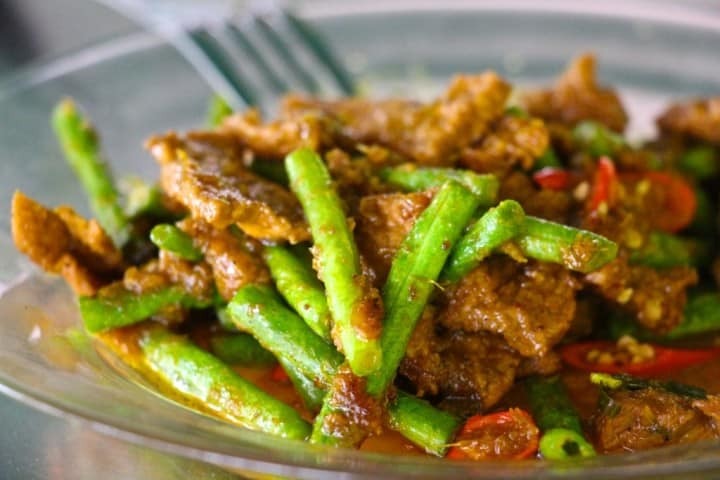 Here we go folks – here is the recipe for Cambodian Killing Fields Curry. Throw all these in a pestle and mortar, and bash them up until they are a fairly smooth paste. Have a wee smell of that, YUM. Set this to one side. Then in with the beef and fry that off until the meat is cooked through. You have finished now there is your Cambodian Killing Fields Curry. I did indeed add a little corn starch to thicken up the gravy. Serve with some plain white rice, and sit back and await praise. This is a BELTER, and I would not have been able to create it without the lovely lady. You are just going to love this recipe, my Cambodian Killing Fields Curry. ENJOY!!! 1 Reply to "Cambodian Killing Fields Curry"
Superb. Defo on the weekend menu.